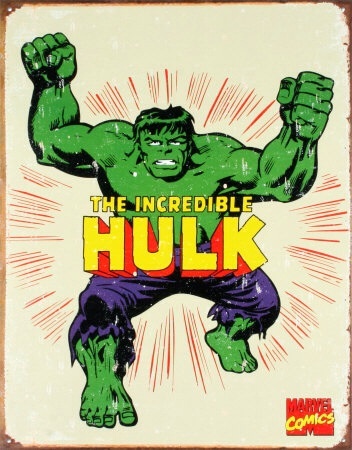 In thinking through what I am calling the Strange Defense of Rhetoric, which, in brief, puts Richard Lanham in conversation with Bruno Latour, I find it helpful to keep in mind the Incredible Hulk. Stay with me now. It is perhaps risky to imagine rhetoric as an uncontrollable and largely ambivalent force in the universe. Hulk is, after all, a monster. But, in using Latour to intensify Lanham’s Strong Defense of rhetoric, the story of the Hulk becomes worth the risk. Lanham argues that rhetoric is essential creative rather than ornamental: that the truths we live by are man-made and social. Using the social as a jumping off point, I use Latour to intensify the social by ratcheting up the number of actors, human and nonhuman, that compose the social. This analogy, however fitting, is nevertheless suspect. The Incredible Hulk is after all a muscular, masculine body born of a white male. My embodiment of rhetoric, however strange, remains stereotypical given the history of histories of rhetoric. There is a risk as well in the centering of anger and strife. So, like any figuration of rhetoric, this embodiment of rhetoric in the Hulk must be provisional. I use the analogy here because it is uniquely suited to the strange task ahead. Every body is a risk the outcome of which will necessarily be a surprise, another point of departure.